Regaining consciousness after nearly losing his life to Akutagawa, Atsushi is paralyzed by the thought of bringing more death and destruction down on the heads of his companions at the Armed Detective Agency and vows to run away. But before he can make good on his resolution, the Mafia sends Ryuurou Hirotsu of the merciless Black Lizard squad to storm their offices! 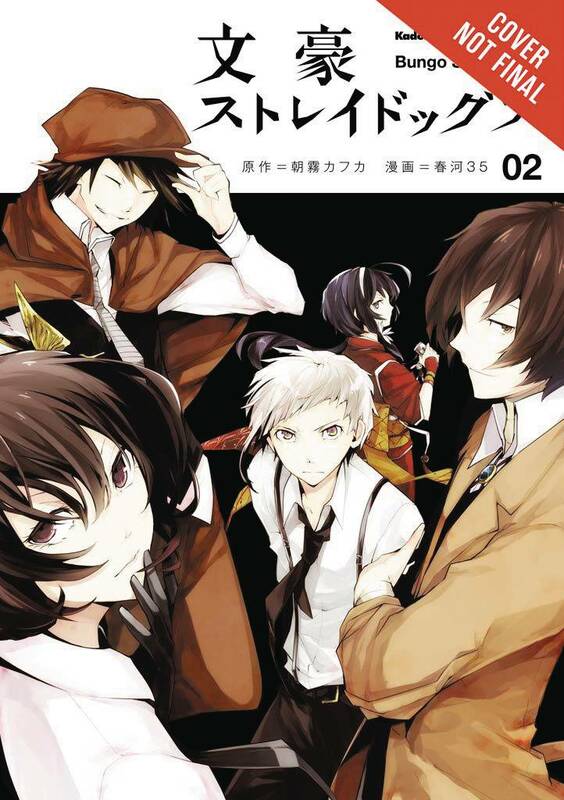 Between the bomb-tossing Motojirou Kajii and the demure, kimono-wearing Kyouka Izumi, will the Mafia’s literary giants close the book on Atsushi and the Armed Detective Agency for good?